I believe you came to this page because you want to learn Portuguese language, right? This page will help you choose the best audio materials for you to learn the Portuguese language quickly with great results, and you can start today! On this page I'll present to you the best audio resources I know of. Please note that some of the materials below are for European Portuguese whereas others are for Brazilian Portuguese. You choose! I have selected for you what I know that effectively has shown brilliant results with my students when they wanted to learn Portuguese language quickly. If you are seriously willing to learn Portuguese, read the description of each product, listen to the samples available and click on the images if you want to either learn more or purchase them with just a few clicks. It's that easy. 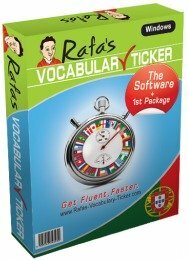 If you are a beginner and want to learn European Portuguese but you don't have much time available, this program (divided in a series of 6 Cds) is the ideal tool for you to start learning straight away. The program is presented in 5-lesson units: 1 to 5, 6 to 10, 11 to 15, 16 to 20, 21 to 25 and 26 to 30. Establish rapport with strangers in Portugal. It gives you quick command of the Portuguese structure without tedious drills. Grammar and vocabulary are taught together in everyday conversation. The flexibility to learn anytime, anywhere, 30-minute lessons designed to optimize the amount of language you can learn while you are sitting, driving, on the beach, in the park, etc.. 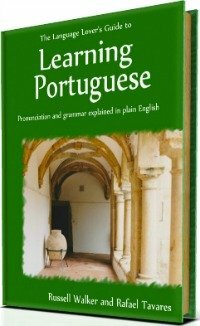 Many people have used this method to learn the Portuguese language to gain real conversational skills quickly and easily, wherever and whenever - without books, written exercises, or drills. Pimsleur European Portuguese is only available in a series of lessons and as it needs to be purchased individually, so you can buy them as you learn. This comprehensive Brazilian Portuguese course includes 30 lessons of essential grammar and vocabulary, 16 hours of real-life and interactive spoken practice sessions, plus an introduction to reading. Upon completion of this Level I, you will have functional spoken proficiency with the most-frequently-used vocabulary and grammatical structures. Begin reading and sounding out items with native-like, pronunciation. 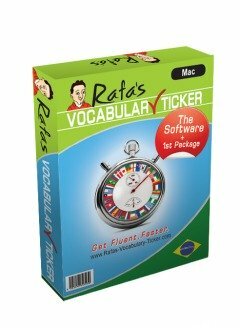 This is a great tool to learn Portuguese language quickly. Once you have completed the level 1, you may want to learn Portuguese language even further. This comprehensive Brazilian Portuguese II includes 30 additional lessons (17 hrs. ), plus readings, which build upon the language skills you have already acquired in Level I. This second level will increase your spoken and reading language ability. Level II will double your vocabulary and grammatical structures while increasing your spoken proficiency exponentially. Reading for meaning as you learn Portuguese language. Note: In order for this Method to work correctly, you must first complete the Level I before proceeding to the Level II. I have separated the different packages here so that you can purchase them as you progress with your learning. After you have completed Level 2, you may want to get closer to a native-speaker's level, right? This comprehensive Brazilian Portuguese III includes 30 additional lessons (16 hrs. ), plus readings, which builds upon the language skills acquired in both Levels I and II. Level III will increase your vocabulary and grammatical structures even more and triple your spoken proficiency. Read at the same level at which you speak. Note: When you learn Portuguese language, in order for this method to work correctly, you must first complete both previous Levels I and II before proceeding to this Level III. Michel Thomas Method is another great tool for you to learn Portuguese language. This method is available as a pack (with all the lessons) or in separate lessons. Here, I'll present to you all the 8 lessons separately which I believe will best accommodate your needs. This method is recommended for beginners. Learn Portuguese language naturally and enjoyably. Join Michel Thomas's editor, Virginia Catmur; a native speaker Paulo Santos from Lisbon; and two students in a live lesson, and within the first hour you will be able to construct simple phrases. You will learn the language with the students, hearing both their successes and their mistakes to keep you motivated and involved throughout the course. You'll stick with it because you'll love it. All you need to do is relax and pretend you are one of the students in the class. This is a unique method perfected over 50 years by the psychologist and linguist Michel Thomas. You'll learn Portuguese language through listening and speaking - without the pressure of writing or memorising. These are the eight-hour course for European Portuguese. If you have learned from Michel Thomas 1, you'll definitely enjoy this intermediate European Portuguese course as well. The fact that you have the teacher explaining the language, allows you to understand every single item and practice them with ease. This is an updated version of the Michel Thomas method for Portuguese, so more content in the same package. My students love it! Will you too? As you can see, they are all excellent, aren't they? Well, I think that's it for today. I know that nowadays there are a wide range of courses and materials out there, which is great, but these ones are worth trying. They will, for sure make you learn Portuguese language quicker yet correctly and with a good pronunciation. I hope you have enjoyed this page.